by Lauren Weiss, Trottier Postdoctoral Fellow at iREx. 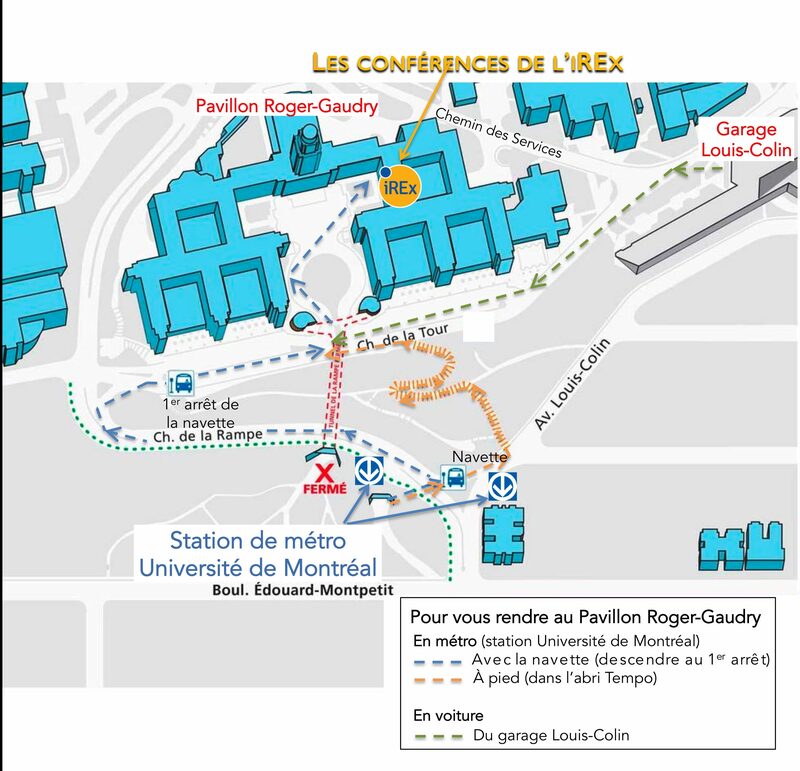 Tuesday March 21 at 7:00PM, at Université de Montréal, Roger-Gaudry Building, P-310. 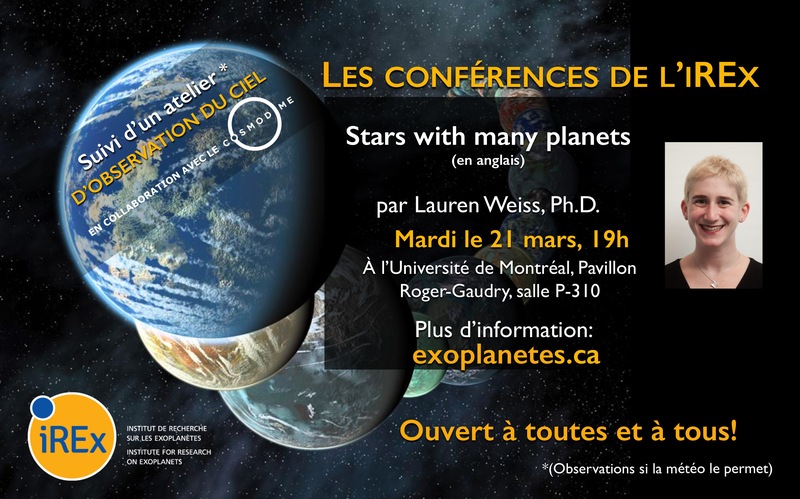 The conference will be followed by astronomical observations (weather permitting), in collaboration with the Cosmodôme. The conference of iREx are aimed at anyone interested by astronomy and exoplanets, no matter their age or scientific background. Admission is free, no need to print any ticket or to register, but there is a limited number of seats available, so arrive a little bit earlier to be sure to have a place! ← Want to learn more? Follow us!